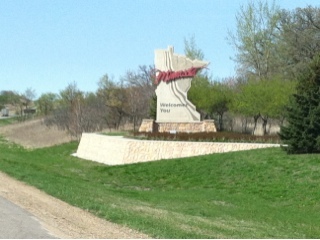 Finally our repairs were done and we made our way to Minnesota. Almost home! We had supper with the relatives in Albert Lea and will be spending the night in a Walmart. Home tomorrow!! !